The Fremantle Beer Fest is happening this weekend – 15 & 16 November – on The Fremantle Esplanade Reserve (in case you hadn’t figured out from my posts all week!) and I think it’s going to be kinda epic. The usual suspects of WA brewing will be there – Eagle Bay, Colonial, Feral, Nail and Gage just to name some, alongside new kids on the block Northbridge Brewing Co and Homestead Brewery. Whilst indulging in your favourite WA brews and discovering some new ones there are also free master classes happening all weekend long. From home brewing advice to cooking with beer, there is a class to interest everyone. One of the more unique classes will be held by Andrew Bennett, one of the men behind North Perth bar The Classroom and upcoming crowd-funded bar Lucky Chan’s Laundry & Noodle Bar. It’s called ‘Hoptails’ and it’s a master class on beer cocktails. 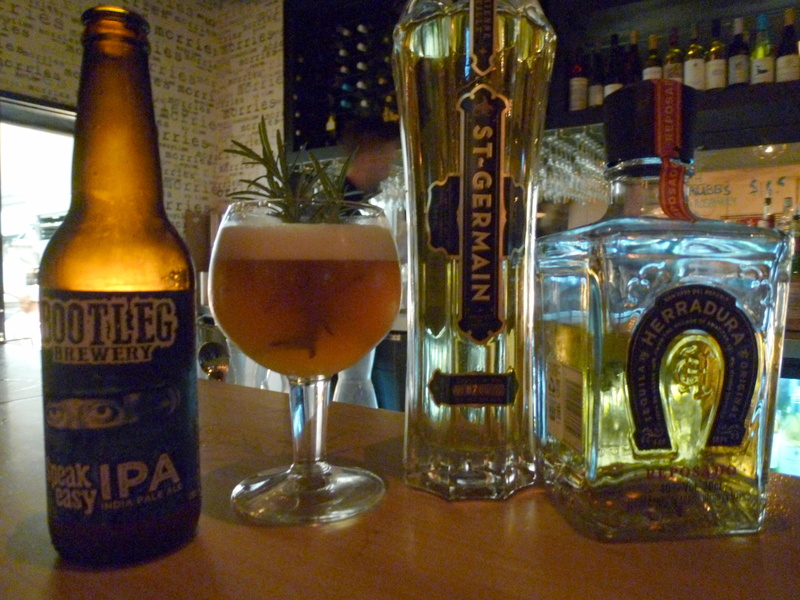 Beer cocktails are as simple as they sound – cocktails with beer in them. Beer is just another ingredient like any other so it’s kinda like calling a martini a “spirit cocktail” but I digress a little. I’ve noticed beer cocktails are appearing here and there and I have been reading more articles that mention them in the last few months. Articles like – 10 Great Beer Cocktails in Paste Magazine or 26 Drinks that Prove Mixing Beer is a Great Idea on Buzzfeed. Locally I even spotted a beer cocktail in the pages of Australian Bartender Magazine not too long ago. On a recent trip to Margaret River at the start of October I walked into one of my favourite south-west venues and found their feature cocktail was one of the beery persuasion. Hello, Morries Anytime! 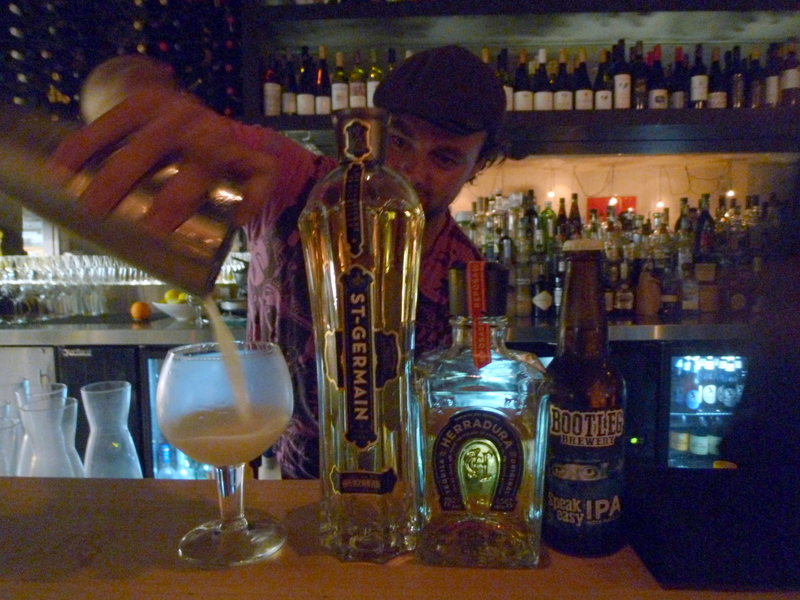 Bar manager, Billy, created a gorgeous beer cocktail using Bootleg Speakeasy IPA together with elderflower liqueur, tequila, a splash of juice and fresh rosemary that tickled my nose as I sipped my drink. This was a really beautiful drink. Please pardon my average photography but there were several drinks consumed before this! So if this all sounds tasty and delicious then I think you’re probably right and should head in to see what Andrew Bennett, who also received an Award of Excellence at the AHA Awards, will be stirring and shaking up on Saturday at the Cryer Malt tent at 5pm! Bring on more beer cocktails!